Testimonials | Tandoc Law, Corp.
Lisa is a competent and caring estate attorney. I look forward to working with her in the future. She is non-judgmental and specializes in, amongst other things, blended families and complex family structures. She has a passion for estate law and as you get to know her you will find that her heart is in the right place. We have been extremely happy with the help from Lisa and her team. People don't realize how much of a headache it is and the costs of not having an estate plan. Tandoc Law does a great job of educating their clients and saving them a lot of money and time. Lisa is very comprehensive and pays great attention to details. I highly recommend Lisa Tandoc of Tandoc Law Corp if you need help with Estate Planning. I had previously worked with a different firm and had documents drawn. Though I wasn't completely happy with the documents, I had nothing to compare them to. I felt like my wishes were force-fit onto their template, and required someone to interpret my wishes to my Trustee. When I had enough changes to warrant revision I met with Lisa and decided to have a restatement done, even though it would have been cheaper to revise with the prior firm. I have a relatively complex beneficiary structure and special situations. I felt that Lisa understood my wishes, and she provided helpful advice and tailored the documents to reflect my wishes using wording that is easier to understand compared to my prior documents. She sent draft documents for my review in advance of our meetings and allowed me time to provide comments ahead of time. I did a detailed review of the draft documents and asked questions regarding provisions that I was uncomfortable with. Each time, she explained circumstances which might arise and addressed my concerns. I'm completely satisfied with the new set of documents and know they will be much more helpful to my Trustee. I met with Lisa today and was really happy about her scope of practice, especially towards blended family planning and other complicated family planning needs in today's environment. Since we have clients that need this type of planning, I am glad to have finally found someone who can provide this service. In addition, Lisa's down to earth personality makes me feel comfortable to refer her to my clients. Looking forward to working with her! I was referred to Lisa by a friend. I attended her seminar and I knew I had to get this trust done. The benefits spoke to me loud and clear. Lisa was nice and thorough. She asked me questions and brought up ways to create a living trust fit for me. When creating a trust, it really needs to be done right and tailored to you because everyone's situation is very different. I'm very thankful to Lisa and my friend who referred her to me. Lisa is an excellent Estate Planning attorney! I've referred many friends, clients and family members to her! She has an easy-going demeanor and really cares about your needs and what's best for your family. Very knowledgeable, and I can always rely on her for good legal advice! Lisa is smart, affable, knowledgeable and attentive to detail. She has rewritten my trust multiple times in the past few years as my position constantly changes, always at a reasonable rate. Not sure what I would do without her. I highly recommend her. 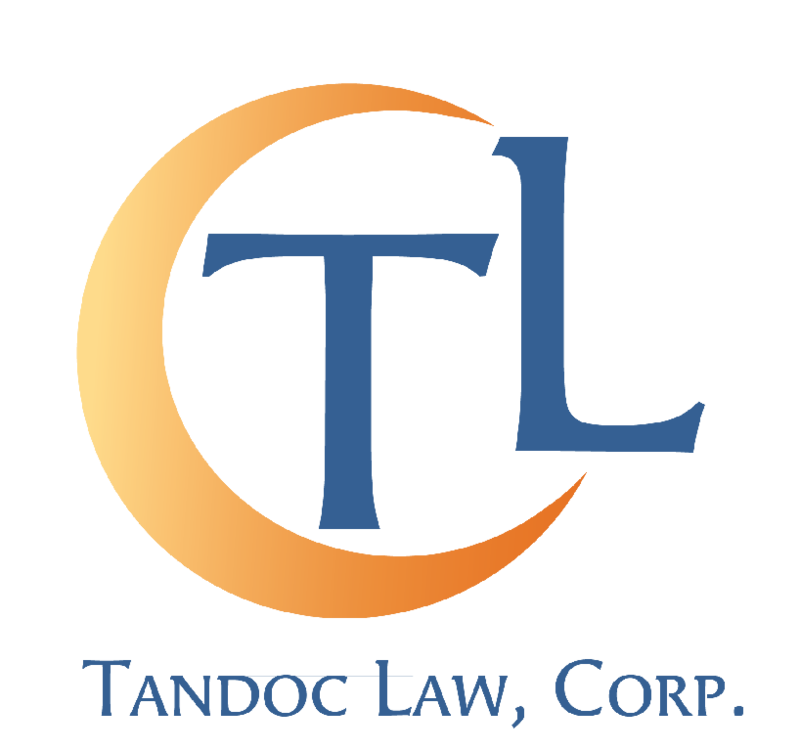 I highly recommend Lisa Tandoc of Tandoc Law, Corp. She is knowledgeable, trustworthy, efficient, and pleasant to work with. Lisa helped me put up my Living Trust, Will, and Advanced Directives, finalized and recorded in December 2014. She is a good listener and did exactly what I wanted to be written in my estate plan. I made some last minute changes and she graciously made the corrections. I also learned that you do not have to be rich to make your estate plan ~ your will, living trust, and advance directive. Everyone should have one especially if you have young children and if you own your home. Creating one gives you peace of mind knowing everything is taken care of in case anything happens. Thank you, Lisa, for helping me put up my Will, Living Trust, and Advance Directive. Attorney Lisa Tandoc prepared my Living Trust, Will and Advance Directives in a very timely manner. It was done in a week's time and I am sure if there was more of an urgency, it would have been completed even sooner. She is professional and a true expert in her field. She is friendly and takes the time to simplify thoroughly all of the legal jargon on the documents that one may not understand from A-Z. Her rates are very competitive. She is willing to be flexible with her schedule in order to accommodate clients and their families. The end product (completed documents) are neatly presented and organized in a leather portfolio so one can easily make changes or amendments in the future with specific guidance. She also encloses a thumb drive of all the legal documents in the portfolio as a courtesy. A wonderful added feature that one can store away for even safer keeping. Her office is centrally located on the SF Peninsula and parking is easy. She is very personable and you can definitely count on her to do a thorough job with any Estate Planning, Taxation and Probate issues. I feel very fortunate to have found her, and needless to say, I highly recommend her. I went to see Lisa to prepare three separate trusts for my family. Lisa was very professional as well as personable. She had an in-depth understanding of my questions and offered answers I could understand and relate to. I also appreciated that all of our appointments were on time as well as any written communication was exchanged in a timely manner. And the price was very reasonable! In the end, it was a great experience and I would highly recommend Tandoc Law Corp's services! If you want a family estate planning lawyer you can't ask for anyone more patient, punctual, caring, organized and professional than Lisa. Appointments were made in a timely manner always accommodating our hectic schedule. She never made us wait and she never made us feel rushed as we had no knowledge of what to do or what to expect during this process of preparing a living trust/advance directive for health care. After preparing the documents she patiently explained every page in non-lawyer English so that we were able to understand what we were signing. Her assistant was also very efficient working alongside her. Lisa explained everything she was going to do and more, and what she quoted was true without any "add-on" costs. The whole process was painless and not stressful as I had anticipated. No nightmares were experienced from stories told by friends, co-workers and family as to what they had gone through. If you are planning something as important as the future of your children, I would highly recommend Lisa to be a part of the experience. We would have planned for this earlier but were traumatized from previous stories. I would rate her higher than five stars if given the option. I had a consultation with Lisa about estate planning and employment laws. She was very helpful and informative. She made sure I understood everything before moving forward and she also addressed all my concerns. I used to be wary of lawyers, but now, I can say I know two compassionate lawyers who aren't trying to swindle you. Although it's a young firm, Lisa Tandoc is a great lawyer. Her services are affordable and she really cares about other people. I'd recommend her to anyone. I found out about Tandoc Law during a networking event about 4 years ago. Lisa seemed very approachable and professional. When I was in need of a power of attorney document and an advance health care directive, I knew Lisa would be a great choice as an attorney. She handled my circumstance with a caring and insightful attitude by getting my family through the paperwork and even volunteered her time on a weekend when we were all available at the same time. Lisa is definitely passionate about her work and I highly recommend her to anyone seeking an exceptional lawyer. Lisa D. Tandoc, the founder of Tandoc Law, Corp. dedicates her practice to proactive planning for individuals and families. She believes in resolving her client's disputes as efficiently and effectively as possible.